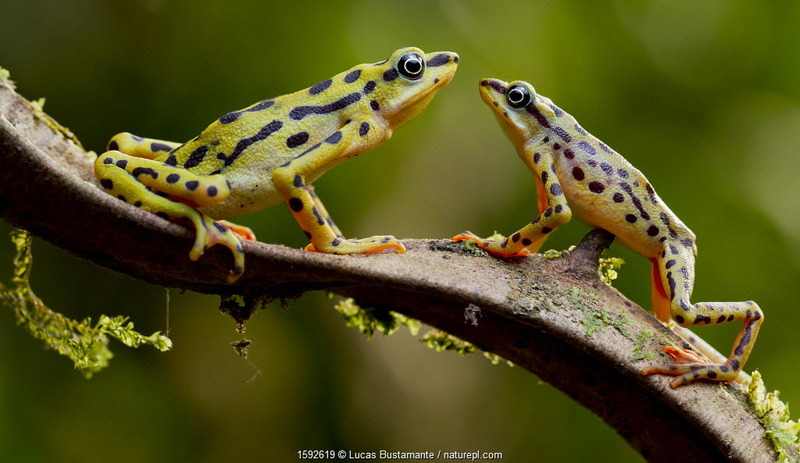 Lucas Bustamante is an Ecuadorian nature and conservation photographer, biologist and co-founder of Tropical Herping and Kids Conservation Photography Workshops. 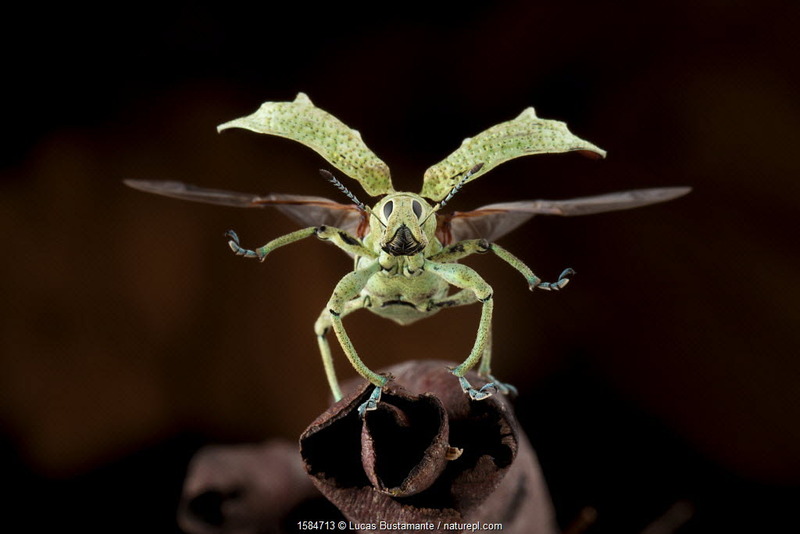 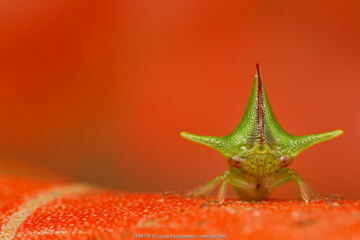 In recent years he has focused on documenting tropical biodiversity, including many rare and endangered species. Lucas’ primary objective is to use photography as a tool to promote wildlife conservation. 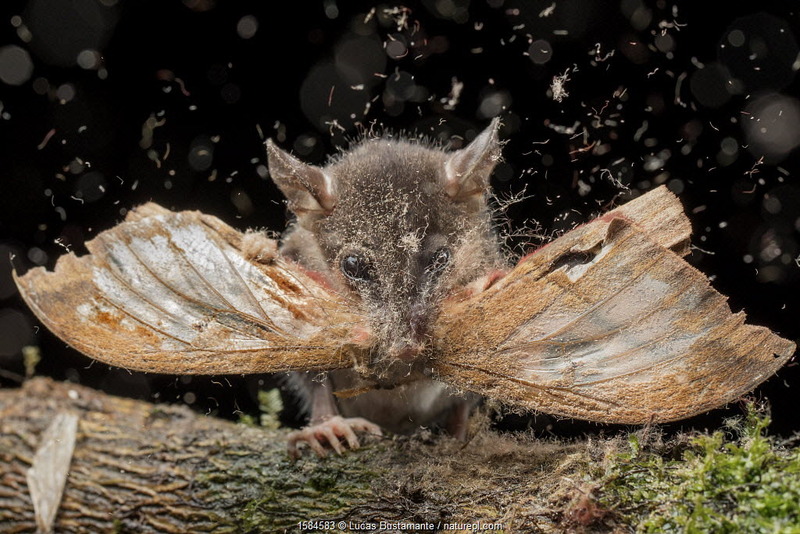 He has been successful in a number of international photographic competitions, including Wildlife Photographer of the Year and he is a fellow of the International League of Conservation Photographers (iLCP). 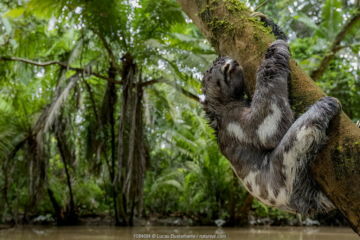 Lucas is currently focusing on the Ecuadorian Chocó and the Andean Amazon. They are two of the most bio-diverse ecosystems on Earth, but also very threatened. He aims to document the factors involved in the conservation of these places, as well as the threats to them, from mining and oil companies, deforestation, the illegal pet trade and hunting. 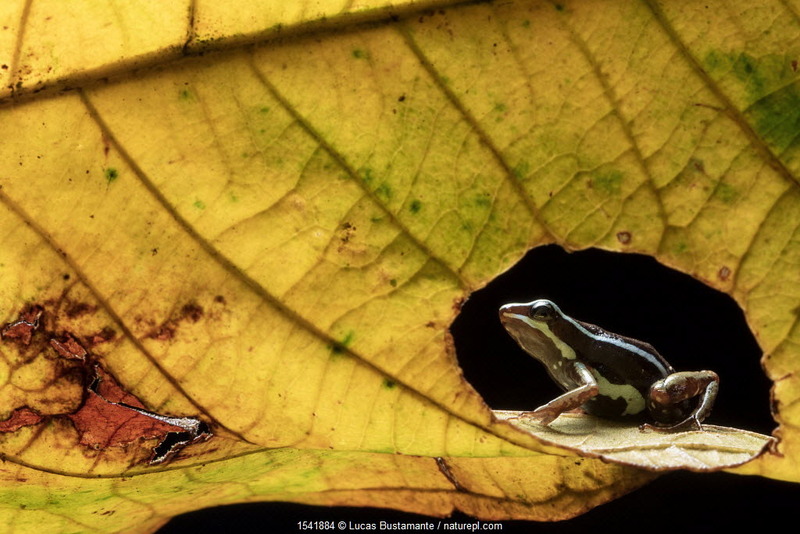 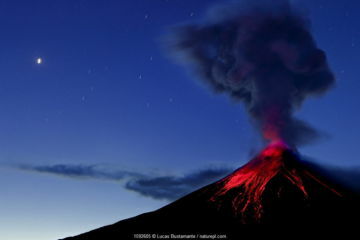 A full gallery of Lucas Bustamante’s images can be seen here. Anthony's poison-frog (Epipedobates anthonyi) seen through hole in leaf. 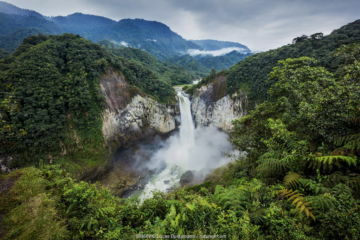 Buenaventura Reserve, El Oro, Ecuador. 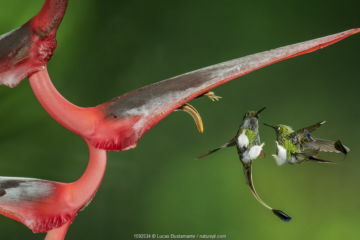 Booted racket tail (Ocreatus underwoodii) two males fighting in flight, Mindo, Pichincha, Ecuador. 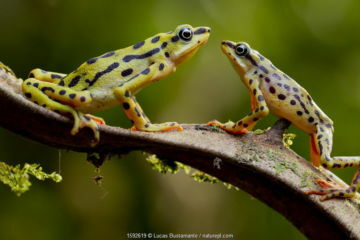 Rio pescado harlequin toad (Atelopus balios) pair on branch, female on the left, Azuay, Ecuador, Critically endangered species, possibly extinct.